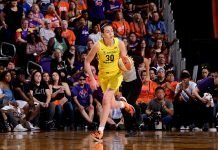 WNBA draft anticipation from Indiana. San Antonio star forward Sophia Young sustained a knee injury during a playoff game in China. The Sky’s Ruth Riley checks in from Panama. Lynx around the world update. The Fever has teamed with the Indiana Girls Hoops League.